The SU-100Y is a Soviet tier 6 premium tank destroyer. Developed on the basis of the T-100 heavy tank. The vehicle was intended to neutralize fortified emplacements and enemy vehicles, and was equipped with the improved B-13-S2 naval gun. The only prototype was manufactured in March 1940. The vehicle never entered mass production. The SU-100Y is a very large tank for its tier, larger than even some tier VIII heavy tanks. The SU-100Y has a devastating 130mm gun that, with a Gun Rammer and 100% crew, loads in less than 14 seconds, dealing an average of 440 damage a shell. It is also very mobile for its size, but unfortunately has next to no armor to cover its massive profile. The SU-100Y is sometimes referred to as the "boxtank". - Surprisingly agile and mobile for its size, not easy to being flanked and rams well. The SU-100Y is all about the gun - the 130mm Weapon of Doom. With an average damage of 440 (510 with premium) the gun can wreck all lower tier tanks, one-shot everything in tier 4, and if it penetrates any tier 6 other than the TOG II*, it will shave off half of said tank's HP pool. With a 100% crew, Improved Ventilation, and a Tank Gun Rammer, this TD can reload in less than 13.50 seconds, making the eventual DPM 1,750. One of the best tactics to use in this tank is to play it as a front line support role TD, having a hill to shoot off of, and a rock or house to duck behind after you fire your gun. This tank is never going to do well as a brawler or sniper, and trying to take the role of the VK 36.01 (H) or StuG III Ausf. G will result in untimely and useless death, while playing the front line support tank can, if done properly, result in excellent games. Players who have done well in both the KV-85 and IS may find playing this tank a little easier than others, as some skills learned in both of these tanks can give a rough picture of how to play the SU-100Y. But do not forget, this is a tank destroyer, not a heavy tank, use camo crew skill for this tank would help it considerably, especially with its enormous size for a tier 6. 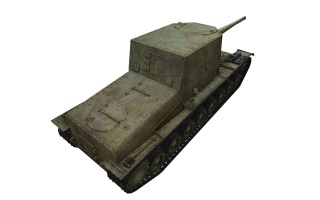 The SU-100Y's hull armor values are nearly identical to that of the KV-85's, except it has 15mm less in the front, which can make a negative difference in some instances. The SU-100Y, despite its size, also feels about as agile as a partially upgraded KV-85, although it does feel like it turns slower due to its size for a tier VI. The SU-100Y in terms of armament is even better than the IS in terms of power, as instead of a 122mm with 175mm of pen, you have a 130mm that packs a better punch and has a considerable 21mm more penetration. 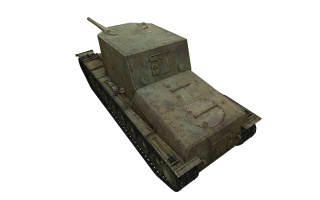 Not to mention the higher accuracy of the 130mm gun, which is comparable to KV-85's 100mm gun. 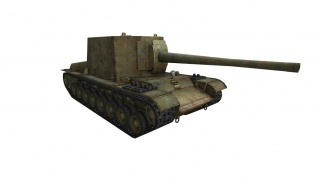 Though these do not mean you should brawl against an IS because the SU-100Y's reload speed is comparable to that of the KV-85 equipped with its own 122mm. The IS will most likely be able to eliminate you before you can even get a second shot off on it, that being said, the SU-100Y can get away with being hit from a shot by some tier 8 tanks like the jagdtiger 8.8cm. With your reload speed it is highly advised to avoid getting into close range firefights with other tanks that have far better rate of fire, like the Churchill series of tanks and the black prince. However, remember the SU-100Y is among the last words in finishing off opponents in its tier, a crafty SU-100Y operator can pull out and around a corner to land a killing pot shot square on a target, in most cases at half health, with ineffective armor if allies are engaging them, allowing them to move on to other targets and thus assisting your team. In a tier VIII battle, keep your distance from the heat of the battle and simply pick at targets of opportunity. If you have a tier 8 exposing its side to you in your line of fire, place a shot into it. If you get a shot opportunity on a tier 7 or 6 tank that you know you can pen from your position, take it. However it is best to avoid trying to take shots on fast light tanks unless they are heading straight towards you, your reload time is not worth a miss, just like in the KV-85 with the 122mm, but remember, unlike the KV-85's 122mm, the odds of a bounce with the 130mm are noticeably fewer. The carefully aimed "Pot Shot" at range is the SU-100Y operator's best friend. And with its nearly 200mm of pen at tier 6 it can even get away with a good number of point blank pot shots on up to tier 7 tanks and if lucky, tier 8s. Otherwise this tank plays heavily on risk vs. reward. In December 1939, the Northwest Command of the Red Army requested that the N°185 factory develop a vehicle based on the T-100. The vehicle had not only to operate as a self-propelled gun, but also to be used to lay bridges, transport explosives, and recover tanks destroyed or damaged on the battlefield. During the development of this vehicle, the ABTU proposed to mount the large, high velocity 152 mm cannon on the T-100 in order to give it the capacity to destroy bunkers and other strong fixed fortifications. 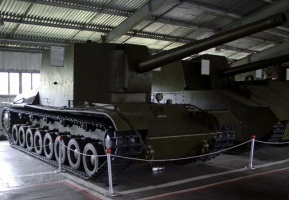 The plant manager at N°185 proposed to stop the development of the prototype to use T-100 as a self-propelled gun armed with the 100 and 130 mm naval guns. This idea was accepted and on January 8, 1940, the plans of the T-100-X were finalized and sent to the Izhorskyi factory. The T-100-X had a box-shaped fighting compartment and was equipped with the 130 mm B-13 naval gun. For mobility, kept the torsion bar suspension system, as was the trend in modern tanks of the day. During the development of the prototype the shape of the fighting compartment was modified to reduce ammunition loading times. The new design was the SU-100Y. The designs of the SU-100Y were sent to the Izhorskyi factory on February 24, 1940 and assembly began on the first of the month. 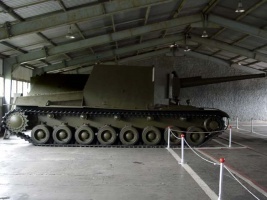 The self-propelled gun was tested for the first time on March 14. As the Winter War was finished, the SU-100Y never saw combat. During the Winter War it was proposed to modernize the T-100 with a more powerful armament, the 152 mm M-10 gun, able to destroy concrete structures, particularly in dragon's teeth, a common anti-tank measure amongst Europe's fixed fortifications during World War II. A new turret to accommodate the 152 mm howitzer was implemented around March 1940. This new model was designated T-100-Z. However this project was abandoned because of KV-1 and the 152mm equipped KV-2 tanks were superior. 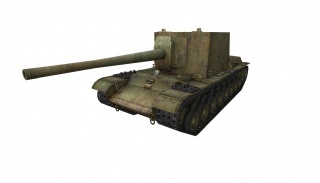 In April 1940, the N°185 factory proposed a self-propelled gun (prototype 103) for coastal defence based on the T-100 and armed with the B-13 130 mm naval gun installed in a rotating turret with three 7.62 mm machine-guns. This project never went beyond the drawing boards. When work was stopped on the T-100 project, the SU-100Y was transported to Kubinka in the summer of 1940. In November 1941, at the most critical moment of battle in the suburbs of Moscow, the SU-100Y, together with the 152 mm gun armed experimental SU-14 and Su-14-1, was pressed into service in an Independent Artillery Division for Special Duties. Further information of the combat record of the unit has not been made known. 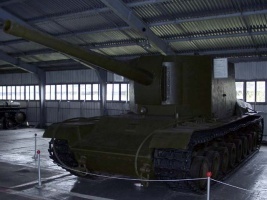 Unlike its base model (T-100), the SU-100Y prototype survived the war and is a part of the collection at the Kubinka Tank Museum. This page was last modified on 26 May 2017, at 11:36. This page has been accessed 260,518 times.